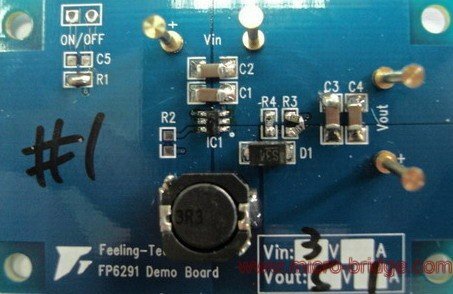 The FP6291 is a current mode boost DC-DC converter. Its PWM circuitry with built-in 0.2Ω power MOSFET make this regulator highly power efficient. The internal compensation network also minimizes as much as 6 external component counts. The non-inverting input of error amplifier connects to a 0.6V precision reference voltage and internal soft-start function can reduce the inrush current. The FP6291 is available in the SOT23-6L package and provides space-saving PCB for the application fields.